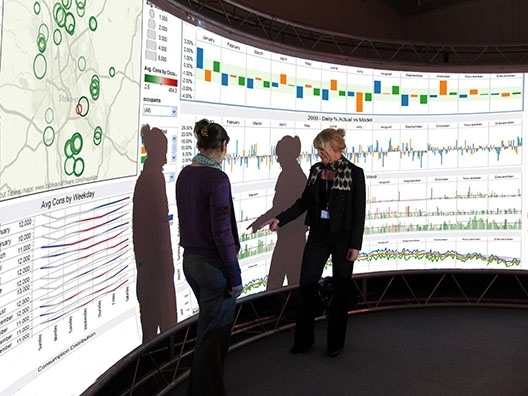 The facility provides true interactive capability through highly specialised tools whose results can be visualised on a ultra-high resolution seamless 180 degree panoramic display system. The facility readily supports a diverse range of tools, modelling and simulation environments. The facility can be readily configured to incorporate spatial sound if required. Full details are provided on a needs to know basis.